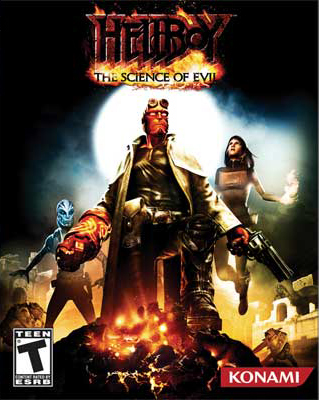 "Hellboy: The science of Evil" was developed by Krome Studios (Full House Poker, Blade Kitten) and released by Konami (Silent Hill, Weird Business Decisions) back in 2008 for PS3, Xbox 360 and PSP. And YOU don't remember it at all! Shame on you. It was a pretty basic beat 'em up, but it was a pretty GOOD pretty basic beat 'em up. Initially set in present day, Hellboy is sent to a creepy Romanian graveyard full of monsters to take down an evil witch. The witch escapes into a nearby village just as creepy and full of monsters as the graveyard, making this game terrible for Romania's tourism industry. Hellboy is ambushed by a Nazi soldier and finds himself tumbling into the village after the witch. And then we go BACKWARDS in time 25 years to another of Hellboy's missions, in Japan, where he has been sent to investigate paranormal activity. Needless to say, there's more monsters! No matter what mission Hellboy is sent on, he always ends up having to smash a monster in the face a bunch of times. The story jumps back and forth between Romania and some of Hellboy's past, relevant missions fighting monsters and Nazis. It keeps the settings nice and varied, rather than keeping it all in one village. It's nice to jump from the dreary, dark Romanian village to the bright, colourful Japanese forest or sand-filled ruins in Tunisia. If you're expecting a story similar to the Hellboy movies, you're not really going to find that here. The Science of Evil feels more like Mignola's comics instead, but still retains what made the movies so much fun. It has more of a pulp feel than the movies. Both Mike Mignola and Guillermo del Toro played a large part in developing the plot of this game, helping to create a story that feels very much like the comic books. While both of their influences shine through, it's Mignola's darker style that seems more on show here, rather than del Toro's more colourful aesthetic. This game was originally panned for its graphics, which were considered pretty poor by the standards of the time (alllll the way back in 2008!!!). But the graphics on show are actually pretty cool. While not the nicest that the last generation of consoles could achieve in 2008, the game has a real nice style and there's plenty of detail to keep everything looking interesting. The characters themselves look especially good. 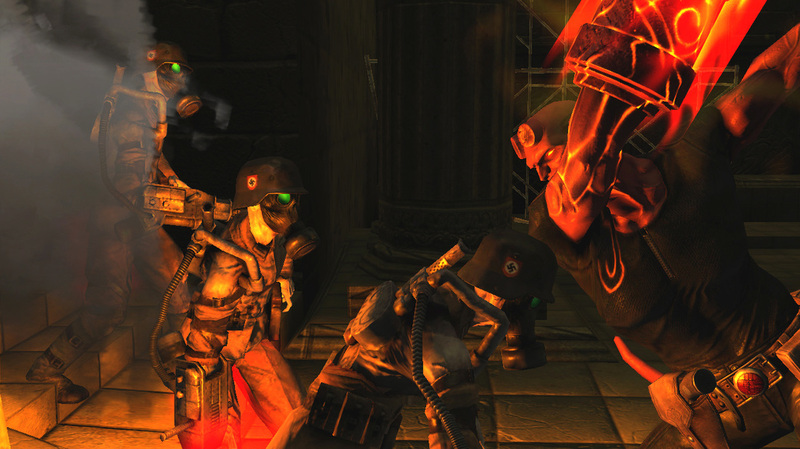 You can play as Hellboy, Liz Sherman, Abe Sapien and fan-favourite Lobster Johnson. They don't really look especially like the comic book counter parts. They have more of a cartoon-ish look, which works out pretty nicely. Ron Perlman, Selma Blair and Doug Jones reprise their roles from the film, while Lobster Johnson is played by the legendary Bruce Campbell. So there can never be a complaint aimed at the voice casting. The gameplay has been called repetitive by many critics, which is, unfortunately, true. But this is a simple beat 'em up game where you run around hitting things and picking stuff up, most of which just lets you hit things harder. But that doesn't mean the game isn't fun to play. The combos are varied enough, but could always use a few more finishing moves. 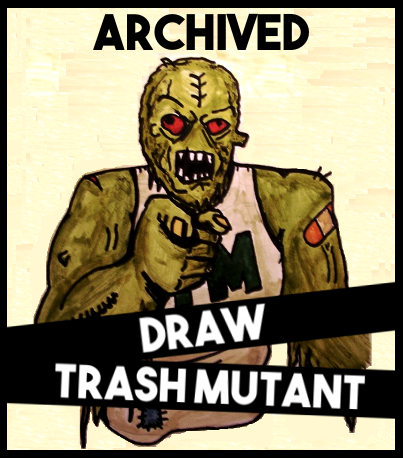 You'll spend a lot of time ripping heads off of things or just smashing them to bits. But killing monsters is fun and satisfying, especially when taking down bosses, which can be quite a challenge at times. Nothing will ever feel quite as rewarding as when you take down a giant ape in a collapsing ancient Japanese building. 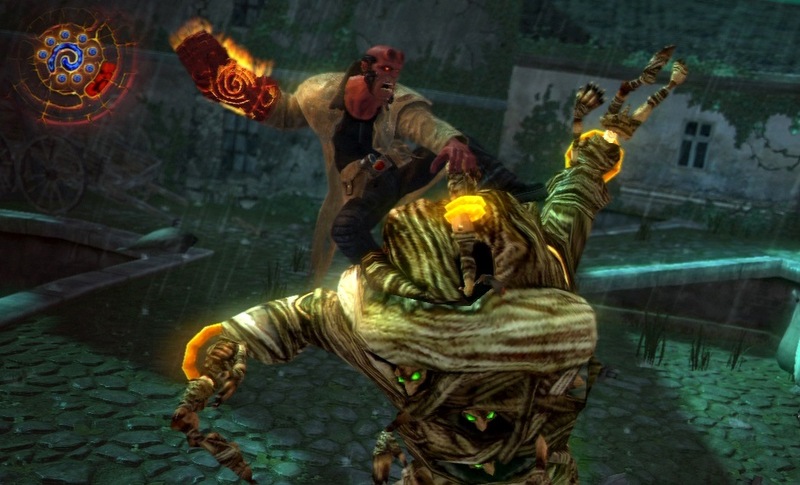 Hellboy: The Science of Evil doesn't have a lot to offer in terms of diverse gameplay, but it's also not a very lengthy game. You can finish it in around five hours, which means it doesn't overstay its welcome. Paying full price for this game would obviously sour your opinion of it, but this game has been out for a fair while now and can easily be found DIRT CHEAP in some bargain basket somewhere or online. This game isn't anything special or groundbreaking, but it doesn't have to be. It's an enjoyable game that lets you smash thing as one of the coolest comic book characters around. 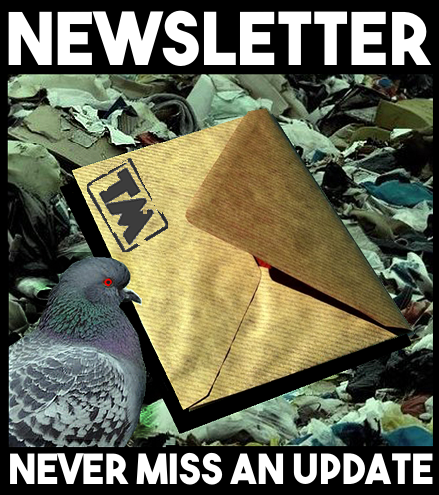 It's well worth checking out, especially if you're already a fan of the franchise. Ross is right, isn't he? You don't remember this game. Or do you? Let us know in the comments! Tagged: video games, Forgotten Game Greats.